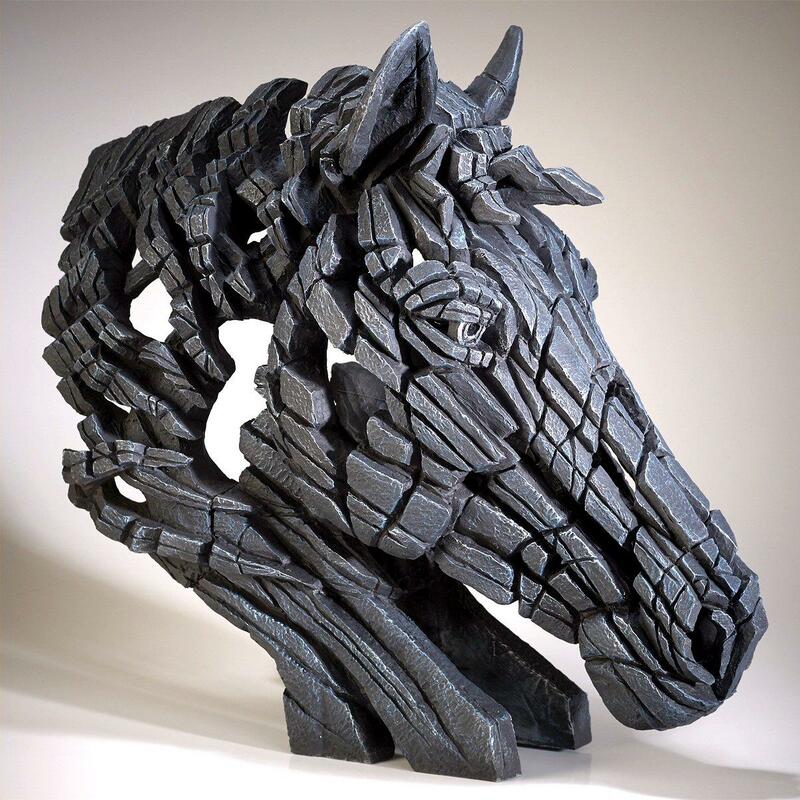 Spectacular Horse bust by sculptor Matt Buckley from the EDGE collection. The closely intertwined relationship between humans and horses goes back many centuries and has been forged in times of war and times of peace. Matt Buckley has caught perfectly the noble lines of this magnificent creature - the sheer scale and presence of this sculpture would make it an eye catching centre piece for any horse lover's room. This sculpture is finished in black/dark grey tones but there is also a version in brown - Horse Bust Bay EDB18B and one in white - Horse Bust White EDB18W.